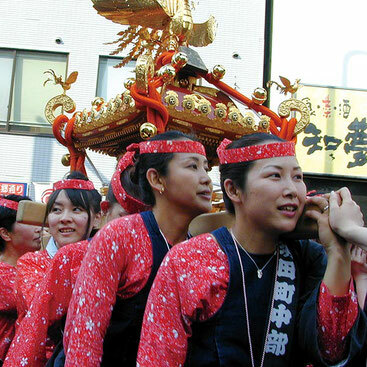 In old days, the common call used when carrying palanquins in Tokyo was "essa, essa", which was famous as "Edo-mae katsugi". 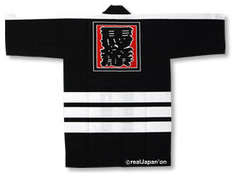 But these days, the call is mostly replaced with "oisa", "seiya" or "soiya". The change may have something to do with attempts of palanquin clubs to remove local territorialities and promote palanquin carrying widely. At one point of time, young people averse to old customs walked away from festivals, which caused a shortage of palanquin carriers. This was when a number of palanquin groups were formed, which took part in festivals as "helping hands" to carry palanquins and enjoy festivals. 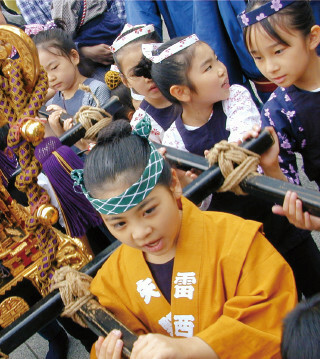 These groups have young females and small children and the children are taught by unrelated adults rules and customs necessary to carry palanquins properly. 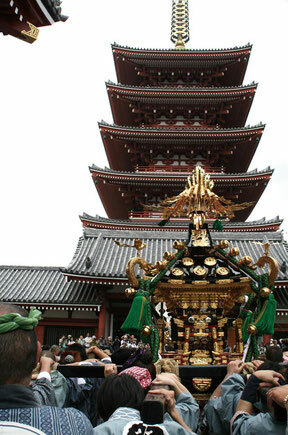 If they violate "the big no-no" of getting on the palanquin without permission, they will be socked without further words. This way, they will learn by themselves how to get along in the adult society, then to respect the seniors and deepen their understanding of local cultures. 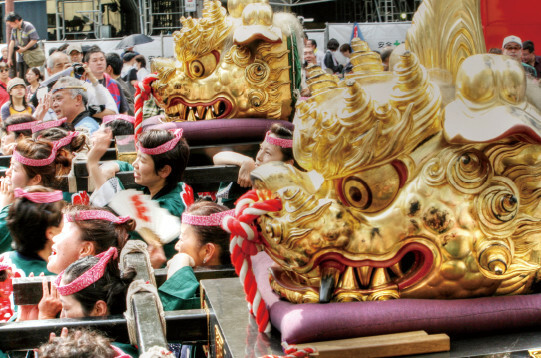 It may be rightly said that the popularity of palanquin groups is supported by a virtuous circle in which festivals help re-create bonds of people in Tokyo where good attributes of local communities tend to be fading, and such bonds, in turn, attract young people and females. 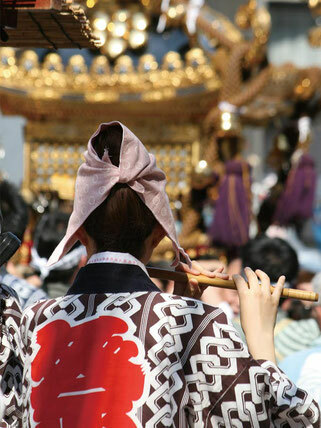 When taking part in festivals, you can follow traditions or you can try new ways of participation. How to enjoy festivals differs from people to people but it seems certain that festivals themselves will be passed on to future generations. 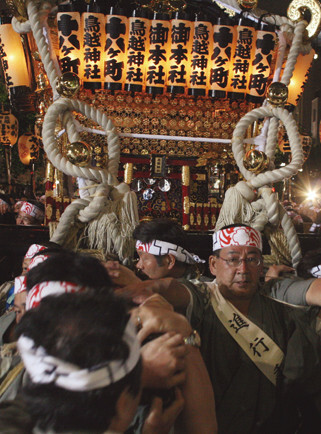 Movie of the 'TORIGOE' shrine festival.